Ashley Sharp is known for her wit, practicality, and tenderness as an instructor. She has studied yoga, meditation and Buddha-dharma in the United States, India and Myanmar. She has trained specifically in insight meditation, yoga asana, yoga therapy and yoga nidra (a reclining meditation practice). 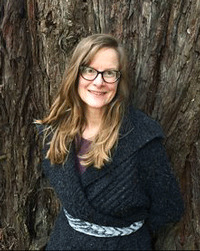 Ashley's ongoing practice of Vipassana meditation leads naturally to her unique weaving of mindfulness into each yoga class, which simultaneously deepens her students' physical and spiritual practice. She founded Insight Richmond, a community based meditation group. In addition to completing the Spirit Rock Dedicated Practitioner Program, and the Spirit Rock Community Dharma Leader training, she has sat in silent meditation for nearly a full year. She teaches retreats internationally and leads yoga teacher trainings in the Bay Area.